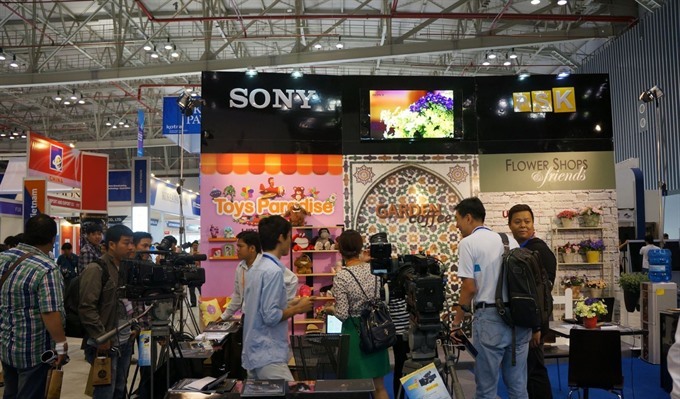 HÀ NỘI - The latest broadcasting equipment and technology will be presented at the International Broadcast & AV (VIBA) show in Hà Nội next year. Visitors will be able to watch movies with modern technology, attend photo shows and sound performances, and play games with VR (VR) glasses. The VIBA show will be held in HCM City, Vietnam. "The exhibition will definitely boost the industry," Kim Jeong-hun, General Director of Exporum Inc, organizer of the event. The Broadcast Department will bring together a total of 200 exhibitors from 11 countries and territories together for the event. Visitors will be able to experience ultramodern broadcasting equipment and technology plus post-production, digital displays and IT solutions. They will be able to interact with the business community in the industries of the industries, associations and other major key players in the industries. The drone will also be a sporting event. The event will be held at the Hà Nội International Exhibition Center, 91 Trần Hưng Đạo Street on April 5-7, next year.